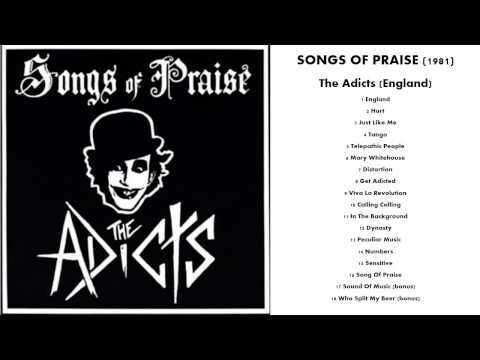 Songs of Praise is the debut studio album by punk band the Adicts. It was originally released in 1981 on Dwed Wecords and was rereleased a year later by Fall Out Records. When the album was reissued on CD by Cleopatra Records in 1993, it included two bonus tracks which came from the Bar Room Bop EP.